For courses in Sustainable Marketing or as a supplement to marketing courses that include sustainability as a focus. A lasting approach to marketing. As the engine that drives the global economy, marketing leaves an enormous footprint on the environment and society. 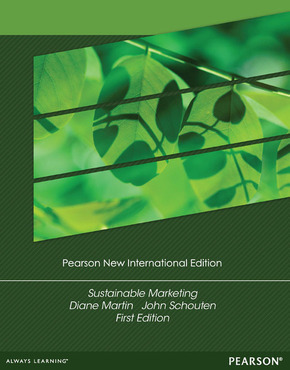 To help readers make a lasting impression in their marketing efforts, Martin/Schouten provides the concepts behind valuable-and lucrative-sustainable marketing strategies.